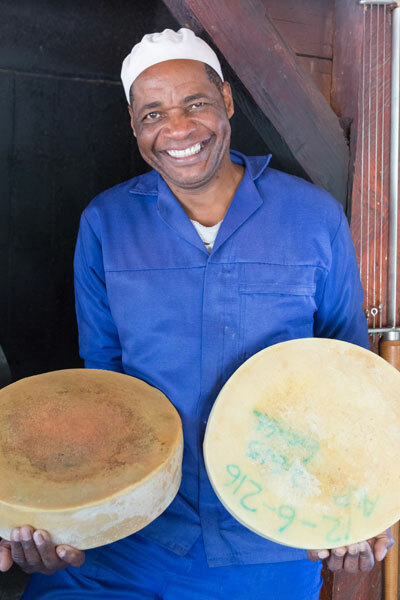 For those who love cheese, there could be no more delightful place in Limpopo (perhaps in all of South Africa) than Wegraakbosch Organic Farm. Wegraakbosch is a fully organic, fully off-the-grid farm producing vegetables, eggs, milk, and the most exquisite cheese you’ll ever taste. Wegraakbosch owners Nipper and Sylvia Thompson began organic farming in 1986, after spending some time working on a dairy farm in the Swiss Alps. The couple developed a passion for organic cheesemaking and that passion is still clearly visible at Wegraakbosch more than 30 years later. Wegraakbosch runs on solar power and biogas — a sign in the dairy reads “No Eskom, ever”. The farm’s cheeses are made by hand in the traditional Swiss cheese-making tradition, using a large copper cauldron over a fire. The farm does not use any preservatives or non-organic chemicals; the dairy is even kept clean without harmful soap. 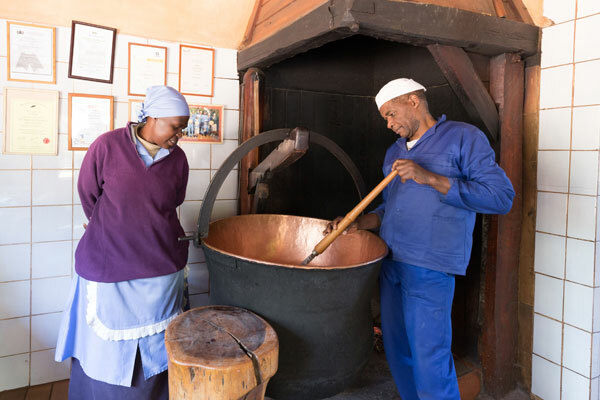 The Wegraakbosch cheesemakers, Francisco and Gloria, host a cheese tour at 10:00 a.m. each day, walking visitors through the process and allowing them to taste the different cheeses. Francisco has been making cheese at Wegraakbosch for 29 years. 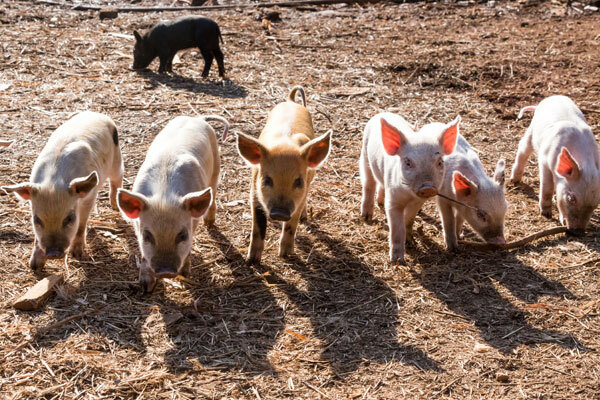 Take a stroll around the farm after the tour, admiring the cows, goats, and adorable piglets, or relax in the garden enjoying a ploughman’s platter with cheeses made on the farm. Guests can also help milk the cows, gather eggs, take a walk through the farm’s indigenous forest, or ride on the monkey rope swing. Of course you can’t leave Wegraakbosch without a few blocks of organic cow’s or goat’s milk cheese, perhaps with a side of free-range chorizo or a jar of olives. Wegraakbosch also sells fruits and vegetables that customers can buy in local grocery stores, at a weekend Haenertsburg road stall, or directly from the farm as a subscription veggie box. Wegraakbosch is downright near utopia for anyone who enjoys nature and delicious, homegrown food. Wegraakbosch Organic Farm is at Road no M1, Cheerio Valley, Magoebaskloof — not far from Cheerio Gardens. Call Sylvia at 071 6875218 or email cheese@haenertsburg.co.za for more information.